I love a good sleep mask. Ever since I was a teenager, I have had a mask next to my bed, because when I sleep, I like it dark. I also love wearing a mask for meditation or mid day naps.And yes, I do love naps. Always did, always will. 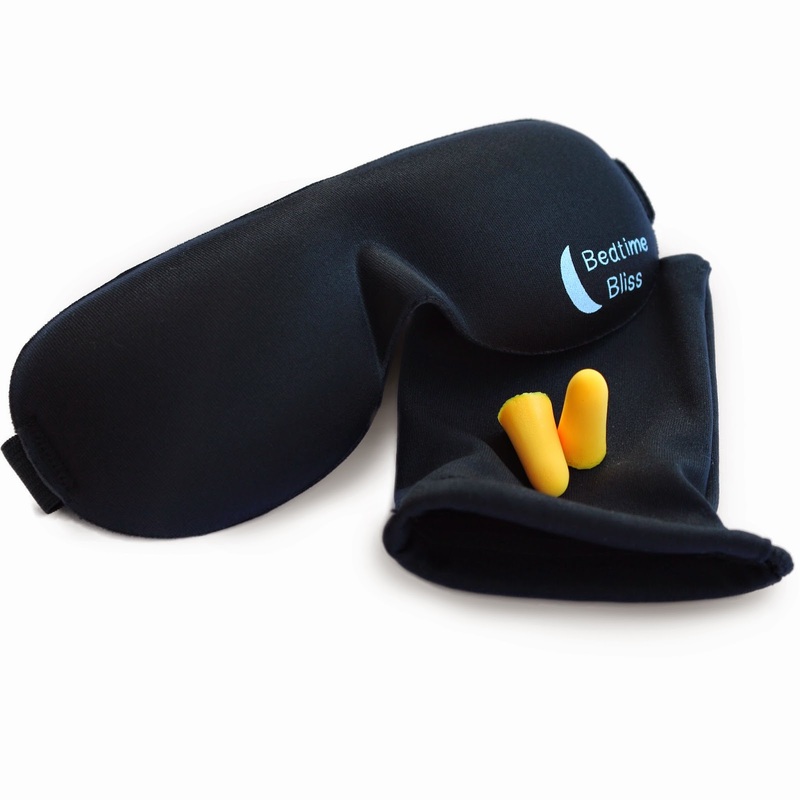 This mask is super comfy, comes in its own carrying case (cute) and with some earplugs....perfect for a long trip, thrown into my makeup bag or travel bag, or for a long day on the set and I need to catch some zzzs while waiting to shoot. It is lightweight and has cute little grooves for the eyes. Also, the fabric is soooo soft. Love it!! "It's coming into summer, which means brighter & longer nights and extreme sun waking you up at the crack of dawn! 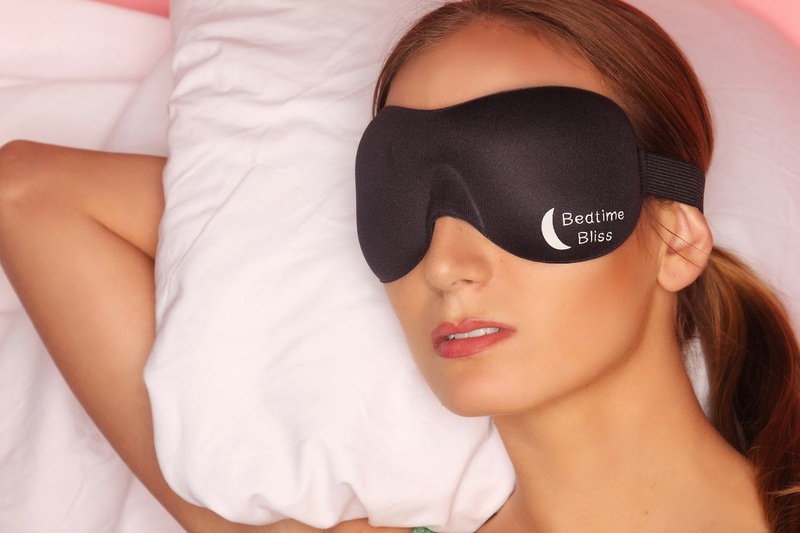 If you love your sleep, but your husband watches T.V until late into the night...or if you work unique 'shift work' hours and really need to get a good sleep during the day, then this sleep mask from BEDTIME BLISS is for YOU!" I do love it and highly recommend a mask for a good night's sleep. Everytime I put it on, I feel like a movie star (Marilyn Monroe??) and instantly sink into my sheets. I need to get one of these because my mask falls off at night. This one looks like a very good one and i like that it really covers the eyes. Also it comes with a pair of ear plugs. Awesome!